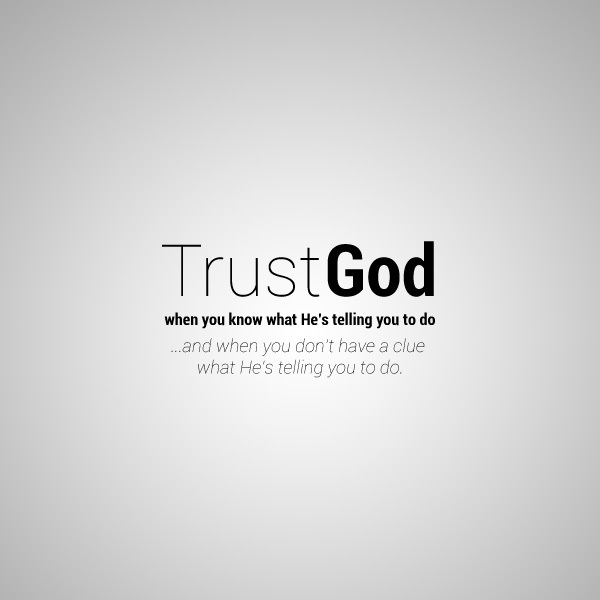 What Are You Trusting God For? I was born into a Presbyterian family, and as a little boy, I went to Sunday School. I probably went because, I thought it was just what you did on Sundays. At that tender age, I perfected my recitation of the Lord’s Prayer, mastered many hymns, sang praise and worship songs, and I was the best in my Sunday School class, when it came to “Draw Your Swords”. It was like a school, except that, this school had no pressure of getting As, nor was there, any report cards sent to your parents detailing all the demons that had been cast from you.